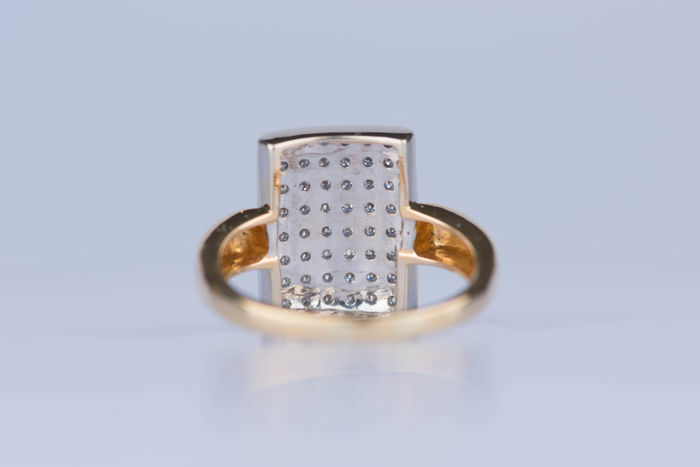 Yellow gold 18 ct / 750 – Size 64. 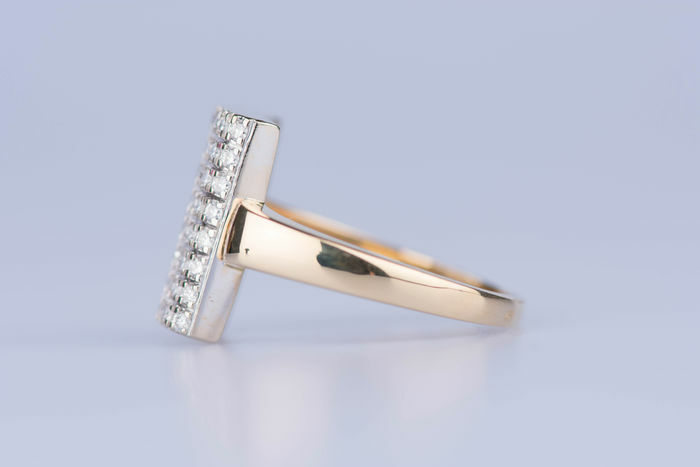 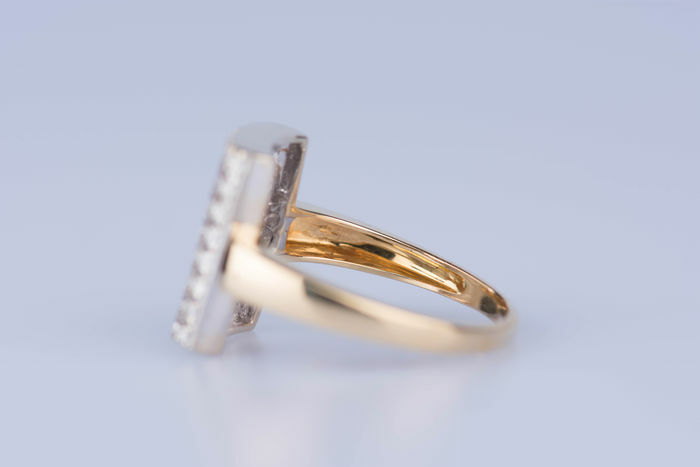 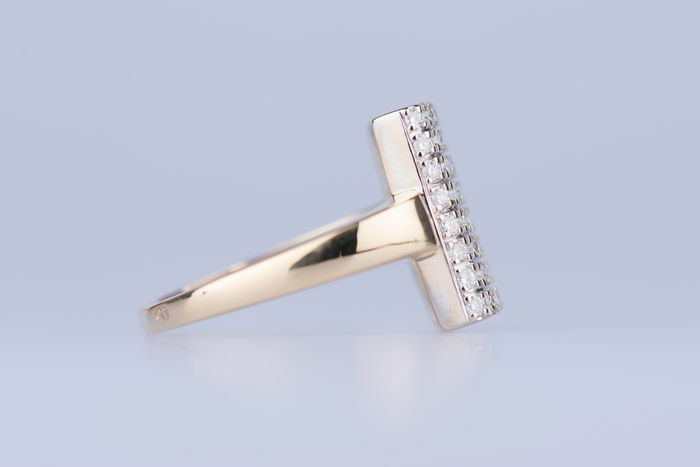 This splendid yellow gold ring of 18 kt (750/1000) is a unique model. 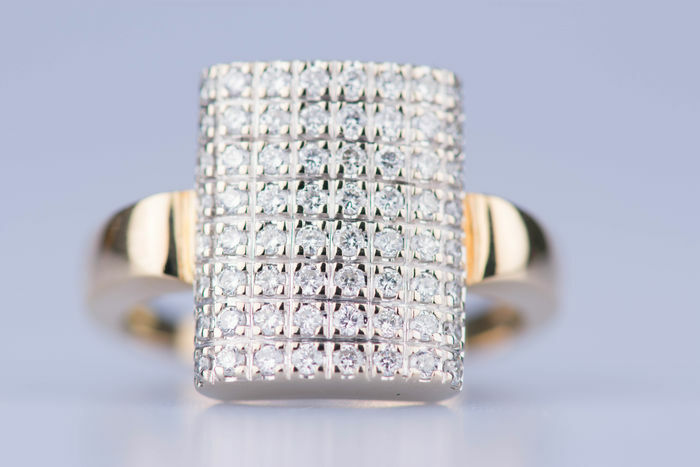 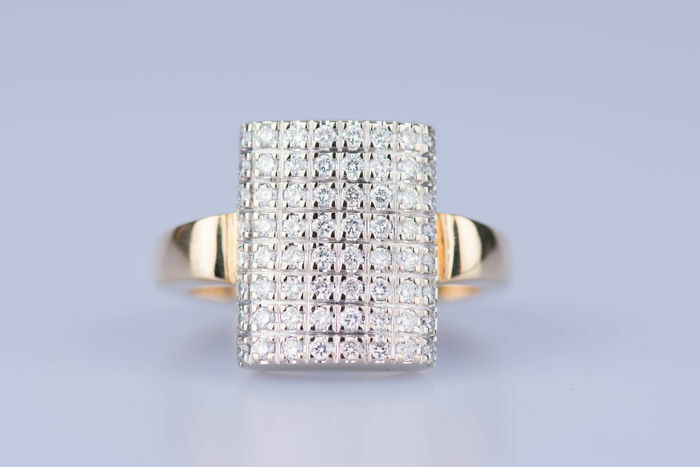 Set with 64 natural (round) diamonds of 0.02 ct for a total of 1.28 ct.
Top width of the ring: 1.5 cm. 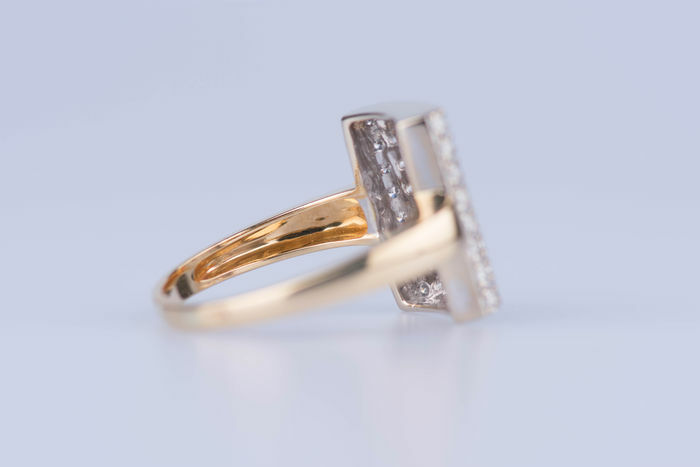 Bottom width of the ring: 0.02 cm.